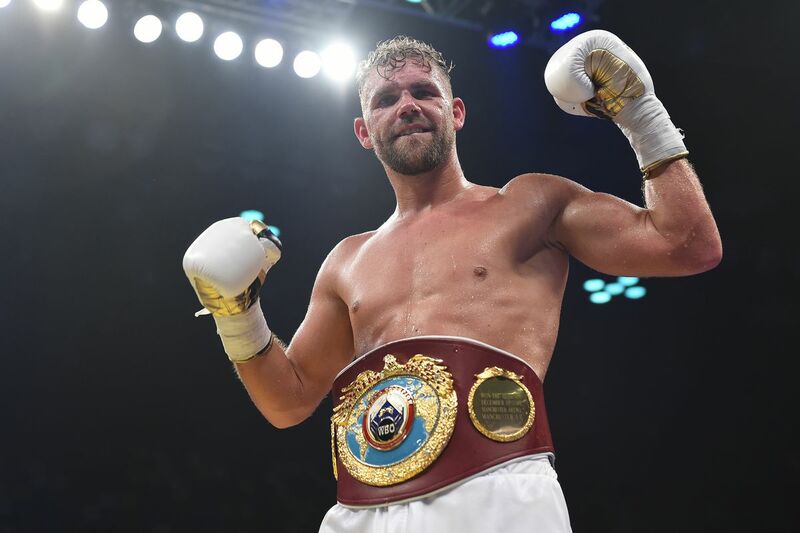 WBO middleweight champion Billy Joe Saunders has an upcoming fight scheduled with Martin Murray this June — but he still has his sights set on an undisputed title unification with Gennady Golovkin. “I think ‘Canelo’ has been caught out and I think he’s an absolute cheat and an absolute liar. End of story. Saunders continued by saying that he believes Canelo simply tried to use the oldest trick in the book and believes he’s deserving of a lengthy ban as a punishment. Whether or not that comes to pass we should find out in the coming weeks. So when Saunders then brought up the prospect of facing Golovkin himself, Saunders reiterated his desire to take on Golovkin with all the major world titles on the line. Saunders also mentioned that his injured hand is improving by the day and that he’s already making some use out of it. But at this point it seems unlikely that a Golovkin-Saunders fight comes together within the next couple of months, although it could possibly happen by the end of the year. And that’s something Saunders is looking forward to. With a potential win over Golovkin, Saunders would undoubtedly be recognized as the best middleweight in the world.